Survey: What's your business's future in technology? Let us know and you could win a £250 Amazon voucher. Businesses are changing daily, and with new technology on the increase, it's a constant dilemma for companies to upgrade, upscale and redefine their outlook. Are you in a similar position? Area Squared is a client of Dell Precision, who utilises its workspace with new and productive design and VR software, to capture the demands of evolving briefs and client expectations. 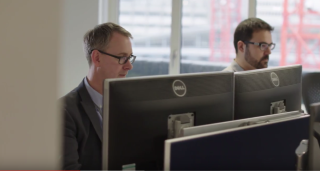 The video below highlights how Area Squared manages its workload and business to maintain its position as innovative and on-trend with such technological advancements. Do you feel the need to reinvent your current IT philosophies? Or push the yardage a bit and step into VR and use more digital workspaces? Enter our survey and share your thoughts with us.